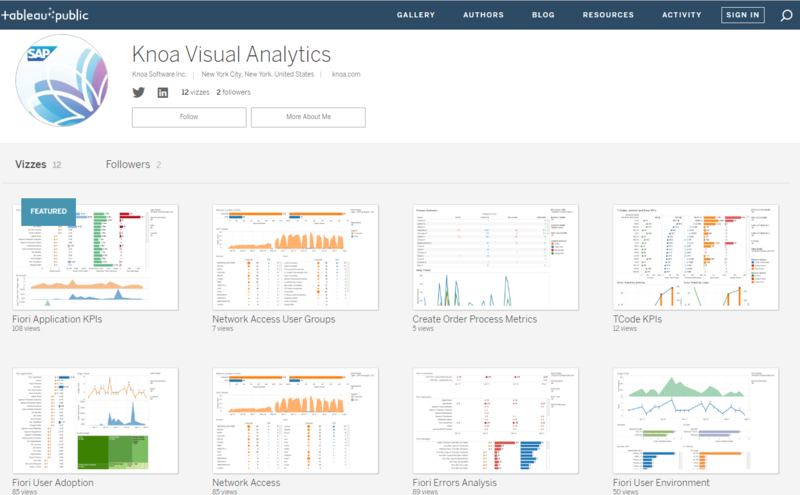 Two years ago, Knoa released the first version of the Visual Analytics Kit, geared towards business analysts looking for more flexibility in querying and analyzing the Knoa data for specific projects. In its first iteration, the Kit included dashboards targeted to several analysis scenarios relevant for migration and UX design projects, such as when moving from SAP legacy applications to new SAP Fiori or SAPUI5-based applications. 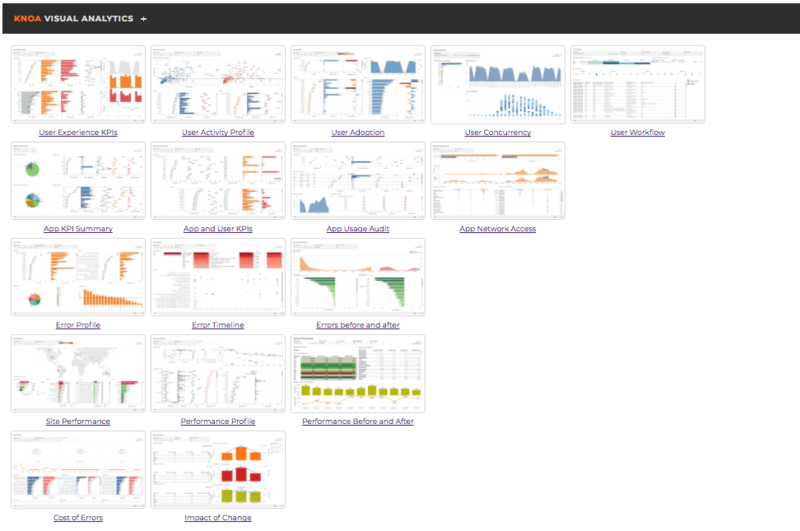 Since then, based on customer feedback, we have extended the set of visualizations, to address more analysis scenarios across a wider range of use cases, including UX design, migration or change management, application support, user support, and training. Self-service business intelligence tools (such as SAP Lumira or Tableau) enable end users to make decisions based on their own exploration, querying and visualization of data, without having to rely on a separate BI or IT team. The Visual Analytics Kit goes one step further and makes it easy for non-technical users to create custom visualizations for the Knoa data by leveraging a set of sample, pre-built visualizations. The visualizations included with the Kit are designed to be used for a specific business scenario: managing a Fiori migration project.